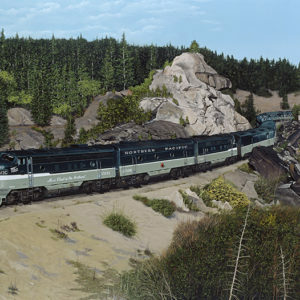 The Patriot Rail Corporation was a railroad holding company that acquired and operated short line and regional freight railroads. 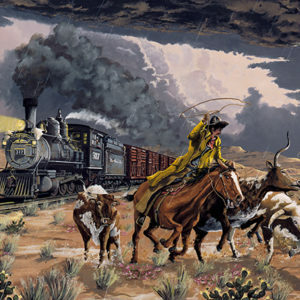 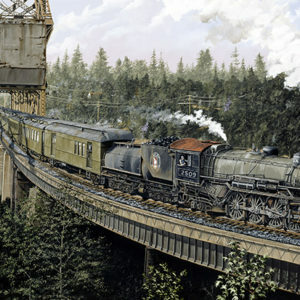 As of May, 2012 “Patriot Rails” owned and operated 13 short line freight railroads comprising approximately 500 total rail miles in 12 states. 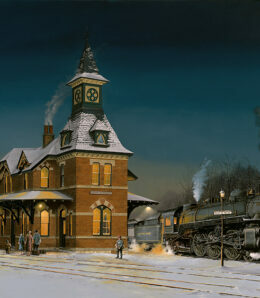 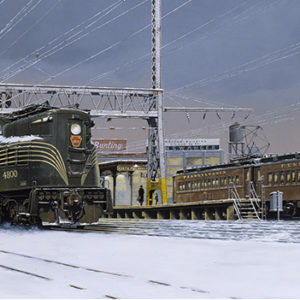 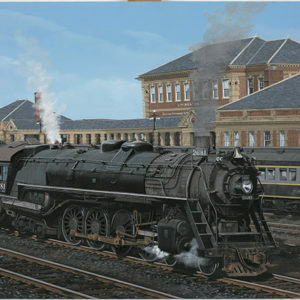 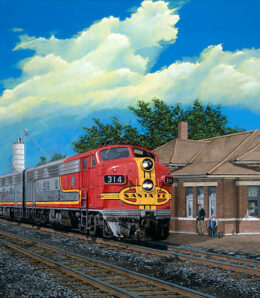 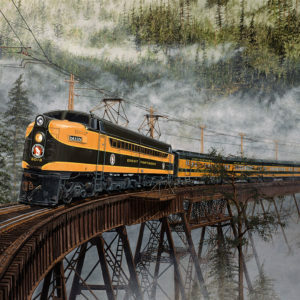 The Tennessee Southern Railroad which runs in Tennessee and Alabama was their first acquisition in November, 2006. 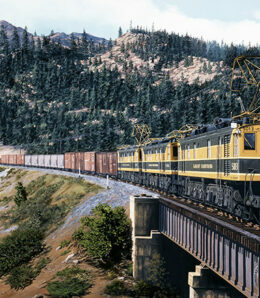 This freight railroad operates a total of 149 miles of rail (118 main line miles) which runs through middle Tennessee. 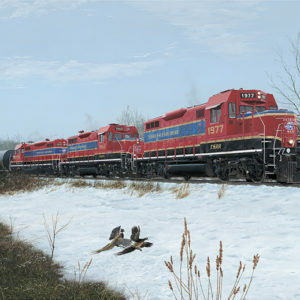 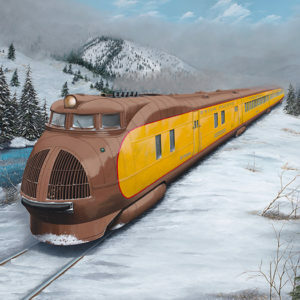 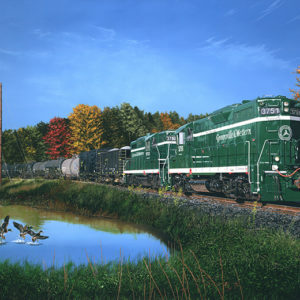 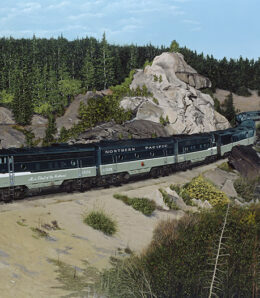 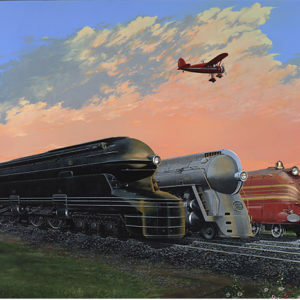 This scene depicts three GP 10’s heading through the Mt. 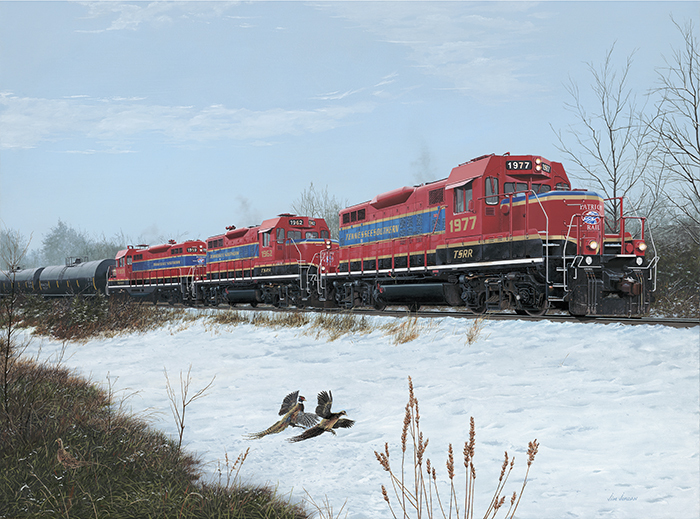 Pleasant, Tennessee area in winter, startling a flock of pheasants nesting in bushes nearby.